Our locksmiths have extensive experience working with contractors on a variety of projects to ensure top-level security. Great Valley Lockshop works directly with contractors on a wide variety of construction projects to ensure top-level security on the project itself, as well as for the jobsite and the contractor’s equipment. We take pride in being able to work well with all trades in the construction industry to make sure hardware installed on a project functions to the best of its ability. From the installation of doors and doorframes to designing and integrating master key systems, we make sure that the products we provide work properly and meet all codes as required by the job. Great Valley Lockshop collaborates with carpenters to supply and install hardware correctly and on time. 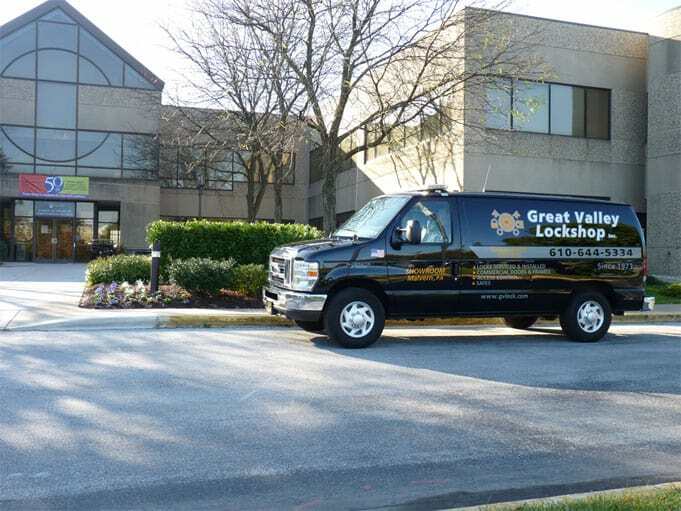 Rest assured, if you need security for construction of any type, Great Valley Lockshop can help.